Munich, October 29, 2012 – The Munich-based WACKER Group will be exhibiting at the Medical Design & Manufacturing (MD&M) Minneapolis exposition to present three new silicone product lines for medical applications: the liquid and solid silicone rubber grades SILPURAN® UR 7000 and SILPURAN® UR 9020 as well as the room-temperature-curing SILPURAN® UR 34xx. These product lines belong to a new class of SILPURAN® UR products to be presented to the public for the first time at MD&M. SILPURAN® UR is especially targeted toward long-term medical applications such as port access systems or disk and joint implants. The medical technology exposition will be held on October 31 and November 1 in Minneapolis, Minnesota, USA. The Munich-based WACKER Group has been developing and producing silicone rubber grades for medical applications for several years. Marketed under the SILPURAN® trademark, these products are highly pure, free of organic plasticizers and stabilizers, and have passed selected tests for biocompatibility according to ISO 10993 and US Pharmacopeia Class VI. All SILPURAN® products are manu-factured in accordance with WACKER’s Clean Operations Standard, and are filled and packaged under cleanroom conditions. At MD&M, WACKER will be presenting SILPURAN® silicone rubber grades that are also suitable for long-term medical applications. Because special quality standards apply to products like these, they have been grouped together in the new SILPURAN® UR, i.e. “unrestricted” product class. The products developed for this series have also been approved for medical devices that remain in the body for longer periods of time. Potential applications cover a broad range and include port catheters, voice prostheses, gastric rings, and pacemakers through to disk, joint and hearing implants. WACKER will be at MD&M Minneapolis to present its first three SILPURAN® UR product lines: SILPURAN® UR 7000, SILPURAN® UR 9020 and SILPURAN® UR 34xx. 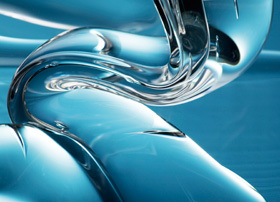 SILPURAN® UR 7000 is a paste-like, addition-curing, liquid silicone rubber. Thanks to its short curing times, this two-part system is suitable for use in injection molding which, in turn, provides manufacturers with an economical option for mass-producing parts such as connectors, valves and seals. SILPURAN® UR 7000 is available in a variety of Shore A hardness grades and possesses considerable tear strength. SILPURAN® UR 9020 has been designed for medical products subject to high levels of mechanical stress. A readily pigmentable, addition-curing solid silicone rubber, this product can be used in injection or compression molding processes, and is particularly suitable for medical and pharmaceutical molding applications. SILPURAN® UR 9020 is available in Shore A hardness grades of 30, 50 and 70. In its final form, SILPURAN® UR 9020 achieves a tear strength of up to 50 N/mm (as defined in ASTM D 624 B). SILPURAN® UR 34xx is a low-viscosity, addition-curing silicone rubber suitable for use in medical applications requiring a soft compression effect. Two viscosity levels are available: 25000 mPas (SILPURAN® UR 3420) and 15000 mPas (SILPURAN® UR 3440). The product consists of an A and a B component, is easy to process and cures at room temperature. The same high quality and purity standards apply to all SILPURAN® products. Each batch is produced, inspected and documented in accordance with WACKER’s Clean Operations Standard, with 50 micrometer filtration, regular visual inspections and cleanroom dispensing/packaging processes guaranteeing the highest possible levels of product purity. Silicones in the SILPURAN® UR product line meet additional ISO 10993 and US Pharmacopeia Class VI tests for long-term applications. WACKER intends to apply for a listing of these products in the corresponding FDA device master files as approved materials for medical implants.